Limbic system. 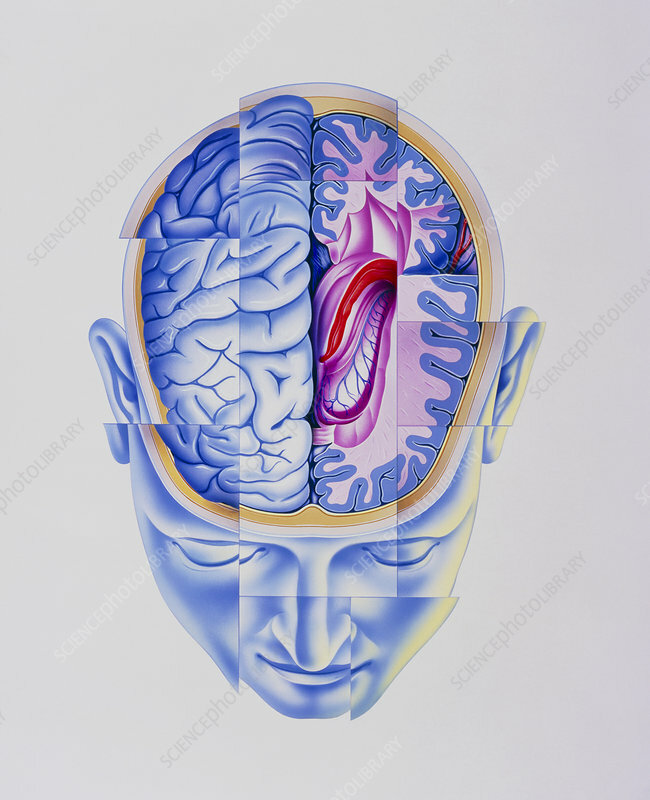 Illustration of an abstract image of a human head, with the cranium open to show the limbic system of the brain. The head is fragmented which may depict psychological states of schizo- phrenia or multiple personality disorder. At centre right, regions of the limbic system are coloured red and purple. The limbic system is a complex network of nerve pathways involved with instinct and mood. It governs the expression of fear, rage, pleasure, and formation of memory. The limbic system is involved in mental illness. Schizophrenia or split personality results in delusional thinking. Multiple personality is the development of two or more personalities.